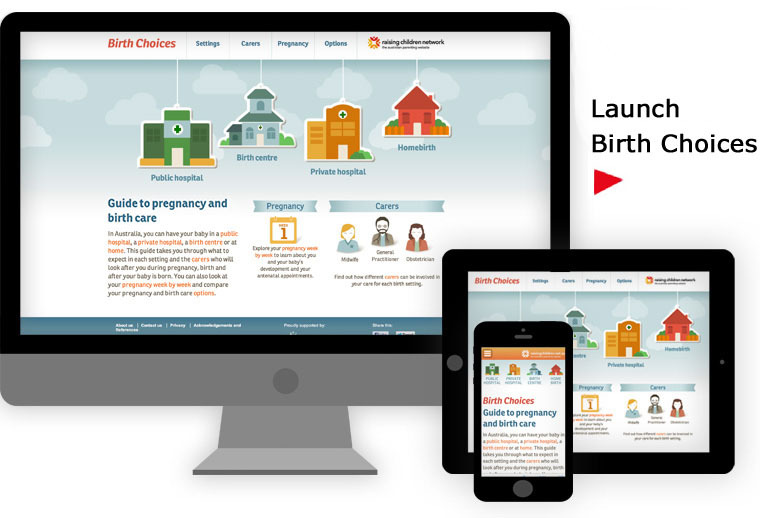 Birth Choices – all you need to know to compare pregnancy care and giving birth in Australian public hospitals, private hospitals, birth centres or at home. For each birth setting, you can also see the carers who will look after you during pregnancy, birth and after your baby is born. And you can enter your due date to look at your pregnancy week by week, follow the changes in yourself and your baby, and keep up with appointments and tests.